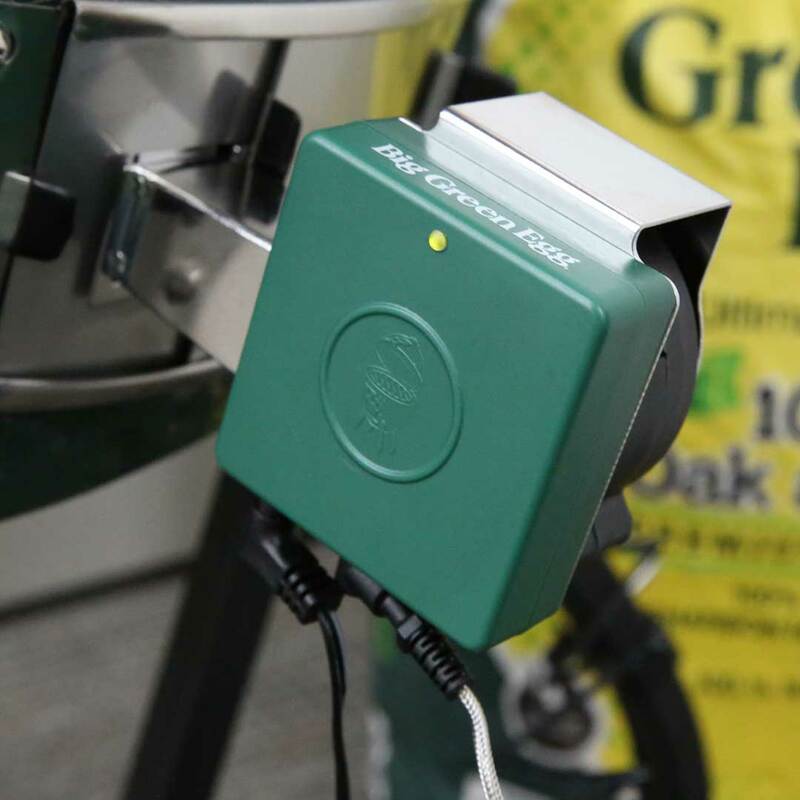 • Quickly and easily reach your desired cooking temperature as the blower ramps up to fan the lighted charcoal; once the desired temp is reached, the variable speed blower automatically adjusts the blower speed to optimize the set temperature. 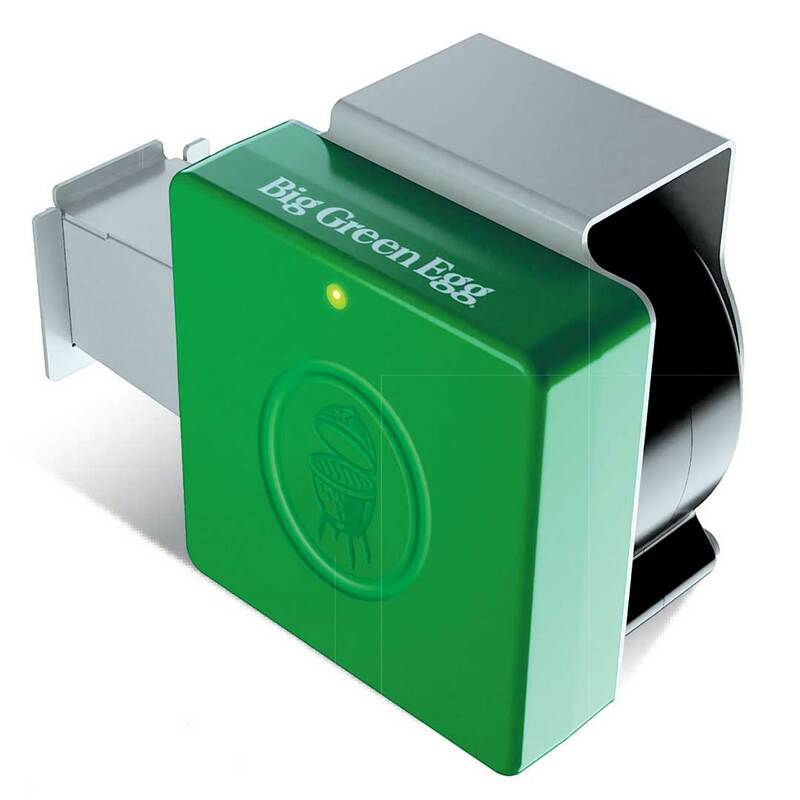 • Automatically lowers the pit temperature to keep your food warm when the cook is complete. • Detects the sudden temperature drop from opening the dome and turns the fan off temporarily to avoid over-stoking the fire. • In the case of a power outage, the unit continues running at the saved set temperature and reconnects to the WiFi network automatically when power returns. • Includes 2 industrial-duty thermometer probes for accurate readings to 500°F/260°C. Use up to 3 meat probes at once – additional meat probes with Y-cable can be purchased separately. Mine arrived this morning. Down loaded the ap, instant connection, could not have been easier. Put on a angus chuck roast. Perfect, effortless. Why slow cook without it. I used this for the first time to smoke a brisket. Outside temperature was 19 with a windchill of 0. The genius performed flawlessly. There was ice on it when I took it off the grill. It never missed a beat. I don’t miss the $200+ I paid for it. 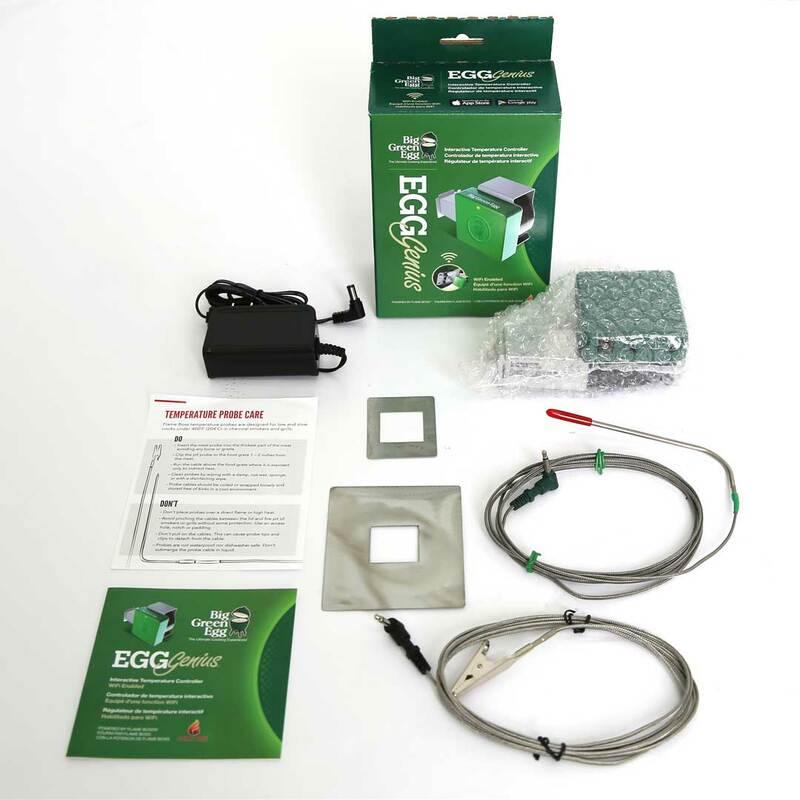 I just purchased the Egg Genius to cook a prime rib and smoked turkey over the holidays. I did a trial run to set up WiFi Alexa and see the temperature controls in action. Set up was easy to be honest. The grill reached my target 250 and I reset to 240 using Alexa. Worked very well. After about 3-4 hours was at 240 then spiked a little but reverted to 240. The app sent a message to the phone. My wife gave me this xmas after owning a Large Egg for a year and this works amazing. A must have \! I smoked a Brisket overnight for 16 hours and the EGG Genius kept the temperature at 250 all the times. The temperature swing from 248 to 252 over the 16 hours cook. The app works great as well and it even know when you open the EGG so it put the EGG Genius on hold until you close the EGG again.